It seems we made rare good decision when fitting All-Season tyres: they perform well in wintry conditions, but are also more economical, and durable, than their summer tyre predecessors. Also, Swiss voters approve second Gotthard Tunnel tube. France foreign speeder fines jumped by a third last year. Yet more multiple trouble for Condor. Investigation continues on Stockholm Indie band canal crash. 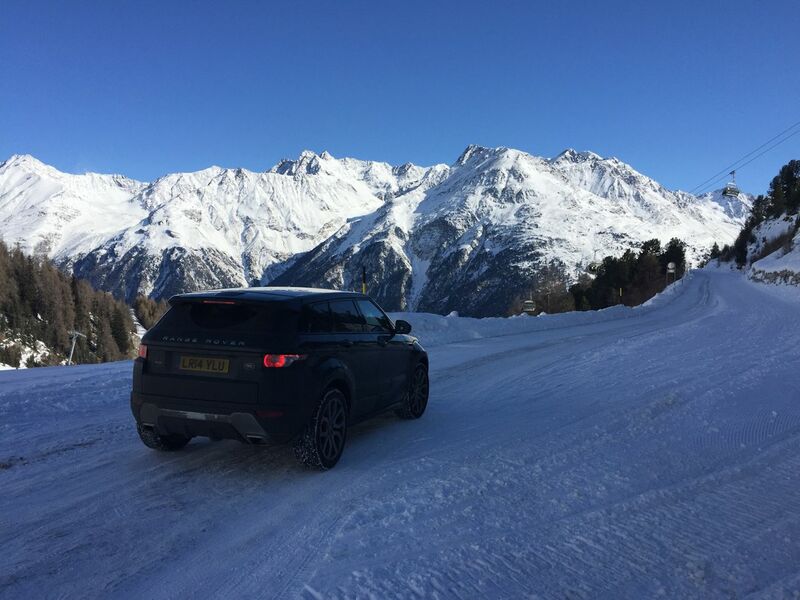 Putting compromised All-Season tyres to the ultimate test in the Austrian Alps. The only quality left to assess of our All-Season tyres was by definition the most important one: performance on snow and ice. After a trip to the Austrian Alps we can now say with some certainty our All-Season tyres work perfectly well on snow packed surfaces. The concern had been that since our tyres have only the legal minimum ‘M+S’ (mud and snow) markings needed to drive in most Alpine countries in the winter, that – compromised as they are – they would struggle when confronted with true winter conditions. But a trip up the 2830m Otztal Galcier Road last week – Europe’s second highest paved road, and (theoretically) open all winter – put our minds firmly at rest. Unfortunately/fortunately the Rettenbach and Tieffenbach glacier roads themselves were closed but we got to well over 2000m, the last couple of miles on completely snowed over roads. Obviously this was not a test of extreme cornering or braking ability, but the tyres coped admirably well with inclines and descents of up to 13%, and tight hairpin bends. There was relief all round when we got back to the bottom. Meanwhile, fuel economy has dipped again this winter. The car reverted to its solid cold-months average 35.3mpg from the beginning of November. This was down from the regular 37.7mpg we saw for most of last year and compares to the 36.7mpg on the original summer tyre set. It means economy slips for up to four months of the year and improves for the other eight…. Finally, these All-Season tyres have proved remarkably durable. The original tyres were replaced at 24,500 miles. The car is currently closing in on 60,000 miles, meaning these All-Seasons have so far lasted around fifty percent longer than the originals and – as confirmed by a recent service – are still going strong. Previously: we fitted All-Season tyres to avoid the hassle and initial outlay of a separate winter tyre set (while still being able to drive in the Alps in winter). Our Continental Cross Contact ATs were actually a few pounds cheaper than a direct replacement for the previous, standard Continental Cross Contacts. Fuel economy dipped immediately but recovered – and then some – as the weather improved. The only real disadvantage has been a slight deterioration in ride quality. One tyre was replaced after a puncture in Ukraine. roundup: FRANCE. Speed camera flashes declined from 20.37 million to 20.24 million last year according to autoroute.info, but the number of fines topped 13 million compared to 12.5 million in 2014. 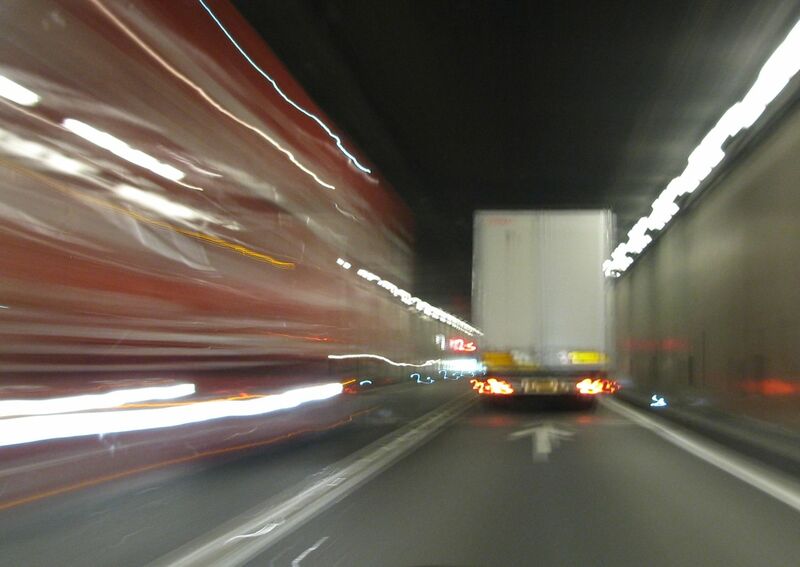 Better technology has improved the strike rate to just under 64% from around 60% in 2013 when mainly ‘barely legible’ registration plates saw the majority of drivers get away with speeding offences according to reports. Meanwhile, the number of foreign drivers prosecuted grew from 1.5 million to more than 2 million last year as the EU’s cross-border info sharing directive comes on stream. Italy ratified the rules last month. Such fines do not yet apply to drivers from the UK, Ireland or Denmark. CROSSING THE CHANNEL. Forty four cars were left stranded on board Condor Ferries Clipper all day Saturday after a vehicle ramp became stuck. The vessel arrived in Portsmouth at 07:00 with the cars eventually disembarking at 19:50 after a specialist crane was used. The firm had already said in a statement on Friday, ‘Condor Ferries is acutely aware of the inconvenience and frustration experienced by some customers over recent months,’ after its recently acquired Liberation fast ferry also experienced a technical failure which cancelled sailings until Tuesday. Liberation’s planned double rotations on Saturdays over the summer were withdrawn earlier this month over service reliability fears. SWEDEN. Investigators are no nearer to finding the cause of the tragic accident on 13 February when five members of band Viola Beach were killed after their car fell 25 meters into a canal in Stockholm. No trace of alcohol or drugs were found in the driver’s system reports NME.com though police have declined to say which of the men was at the wheel. The Daily Telegraph revealed on 16 February that a ‘massive’ oil tanker may have steamed over the car after it landed in the canal while The Local Sweden said CCTV footage of the incident was not retained.